Scientists reported Wednesday that 2015 was the hottest year in the historical record by far, breaking a mark set only the year before — a burst of heat that has continued into the new year and is roiling weather patterns all over the world. Politicians attempting to claim that greenhouse gases are not a problem seized on that slow period to argue that “global warming stopped in 1998,” with these claims and similar statements reappearing recently on the Republican presidential campaign trail. Statistical analysis suggested all along that the claims were false, and that the slowdown was, at most, a minor blip in an inexorable trend, perhaps caused by a temporary increase in the absorption of heat by the Pacific Ocean. 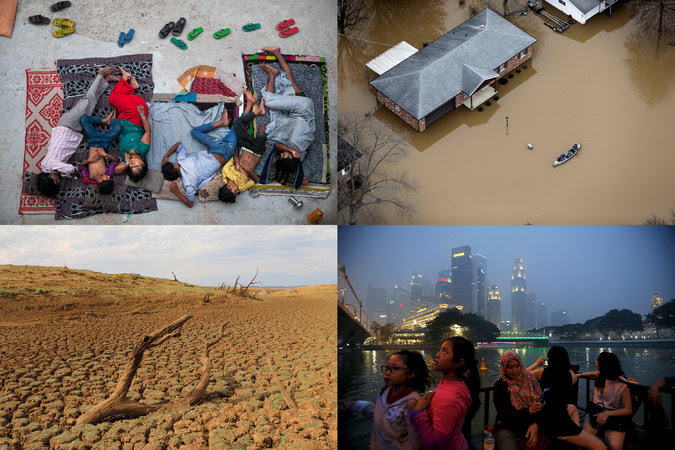 Globally, 2015 was the warmest year in recorded history. Michael E. Mann, a climate scientist at Pennsylvania State University, calculated that if the global climate were not warming, the odds of setting two back-to-back record years would be remote, about one chance in every 1,500 pairs of years. Given the reality that the planet is warming, the odds become far higher, about one chance in 10, according to Dr. Mann’s calculations. Two American government agencies — NASA, the National Aeronautics and Space Administration, and NOAA, the National Oceanic and Atmospheric Administration — compile separate analyses of the global temperature, based upon thousands of measurements from weather stations, ships and ocean buoys scattered around the world. Meteorological agencies in Britain and Japan do so, as well. The agencies follow slightly different methods to cope with problems in the data, but obtain similar results. 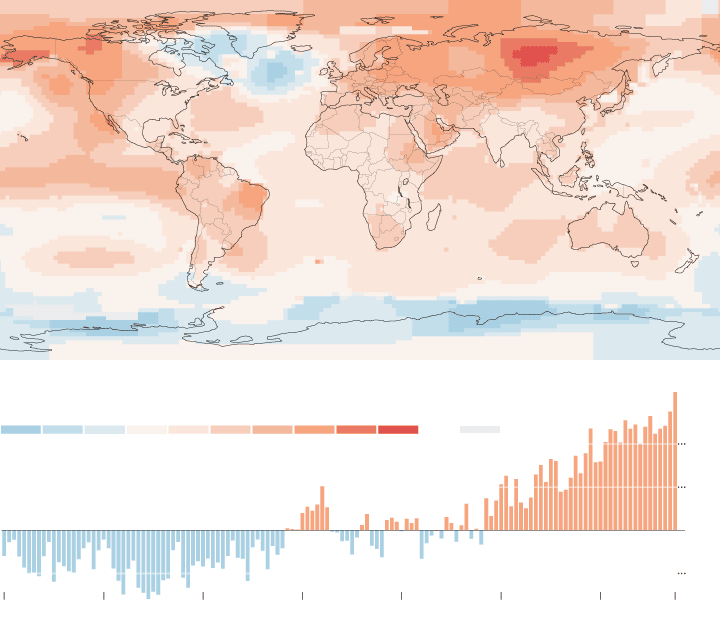 The American agencies released figures on Wednesday showing that 2015 was the warmest year in a global record that began, in their data, in 1880. British scientists released figures showing 2015 as the warmest in a record dating to 1850. The Japan Meteorological Agency had already released preliminary results showing 2015 as the warmest year in a record beginning in 1891. On Jan. 7, NOAA reported that 2015 was the second-warmest year on record, after 2012, for the lower 48 United States. That land mass covers less than 2 percent of the surface of the Earth, so it is not unusual to have a slight divergence between United States temperatures and those of the planet as a whole. The term global warming is generally taken to refer to the temperature trend at the surface of the planet, and those are the figures reported by the agencies on Wednesday. The intense warmth of 2015 contributed to a heat wave in India last spring that turns out to have been the second-worst in that country’s history, killing an estimated 2,500 people. The long-term global warming trend has exacted a severe toll from extreme heat, with eight of the world’s 10 deadliest heat waves occurring since 1997.